Top Notch Material: Thermoserv Collegiate Tumbler and Melamine Plates are Perfect for Game Day! 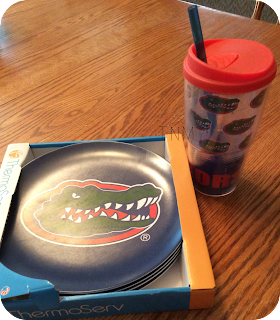 Thermoserv Collegiate Tumbler and Melamine Plates are Perfect for Game Day! Go Gators! While I am not a die hard fan of any sport, I do live in Gator country so I have to pledge my loyalty to them. 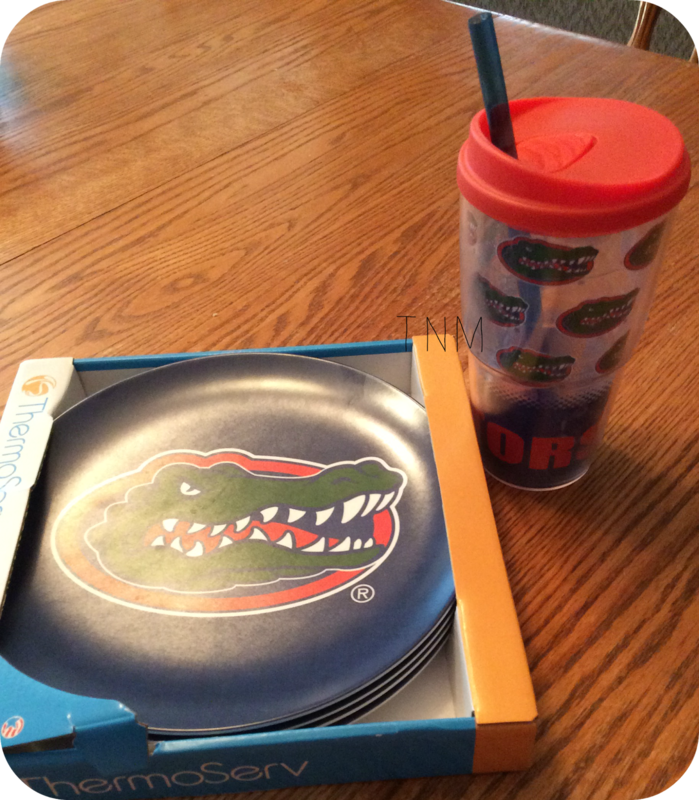 I received an awesome Collegiate tumbler and plate set from Thermoserv. This tumbler is absolutely perfect, especially since football season is approaching FAST! I love my tumbler. It looks very nice, it quite large so it holds enough ice water to get me through the day, and it keeps my water really cold for a good part of the day. It is a great way to show off your team while you are at work or at school, and makes the perfect gift for any college student who is always on the go! I was thinking I am going to get another and fill it with chocolates and give it to my sister for Christmas this year!! The Melamine Gator plates I received are awesome. They are a full sized plate, which is great for my almost nine year old who has the appetite of a man, but the coordination of a gangling giraffe. These plates will not shatter if dropped and are virtually indestructible. I have washed them a few times in the dishwasher, and they come out looks great every time. I have notice other unbreakable plates start to bubble over time, but that does not seem to be the case with these at all. If you have a college sports team you love, I highly recommend Thermoserv! They have awesome quality products and unique school dinnerware that is sure to impress, they are absolutely perfect for game day snacks! !